In Scrum, user stories act as requirements. Each story represents a portion of business value that a team can deliver in an iteration. A common format is: “As a (role), I want (goal) so that I can (reason).” Here's an example: “As a customer, I want shopping cart functionality so that I can buy items online.” User stories are captured in the product release backlog. 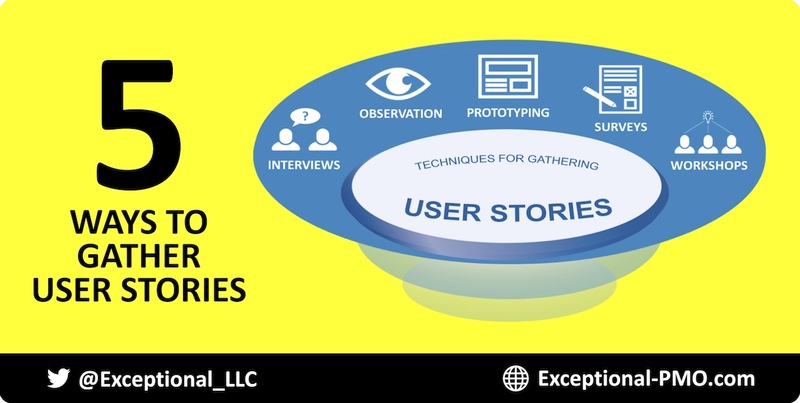 This short article focuses on techniques for gathering user stories. The above content includes excerpts from the book, Agile Scrum: Your Quick Start Guide with Step-by-Step Instructions. It’s available in paperback and ebook formats at Amazon. The press kit is available at agilescrumguide.com.